I hope to help keep her well for many many years to come! "Dr Erin is amazing. I trust her...especially with my newborn! Thank you!! " "Thanks for our adjustments today Dr. Erin!" — Mathy Garcia & Marcelo Garcia. "My two year old is scared of a lot of things but getting adjusted is one thing that he is not afraid of, thanks to Dr.Erin." 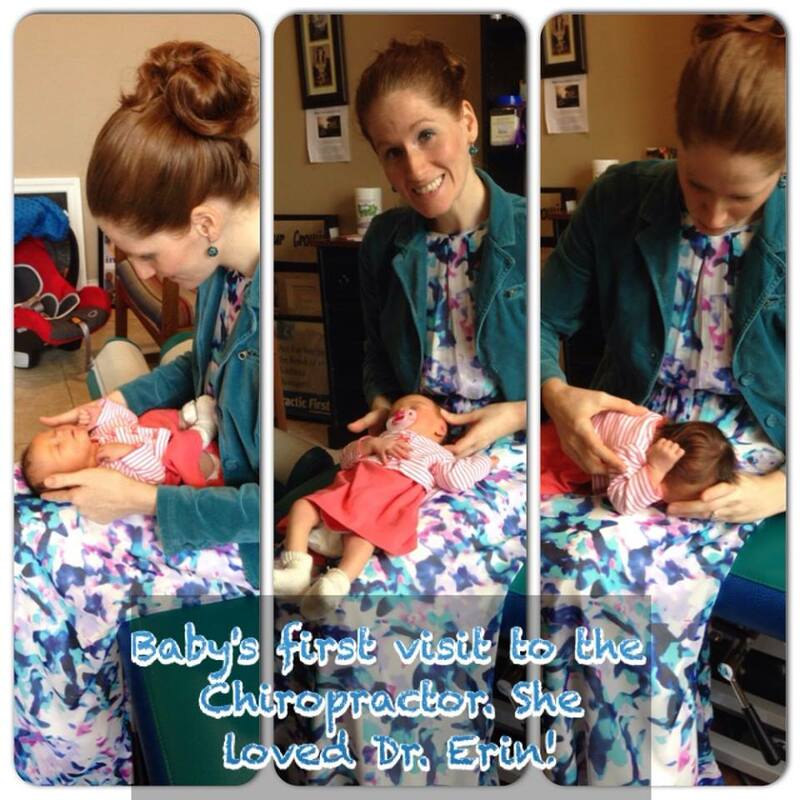 "Thank you Dr. Erin for giving Sarah her first adjustment right after birth! We had an amazing birth and are so thankful you were there to adjust mom and baby and all of the help and support you were to our family....we expect that you will be there for all of our babies to come!" "Love taking my lil babe to see Dr. Erin! She helps us tremendously!!" Dr. Erin Lynn Spaulding is AWESOME!